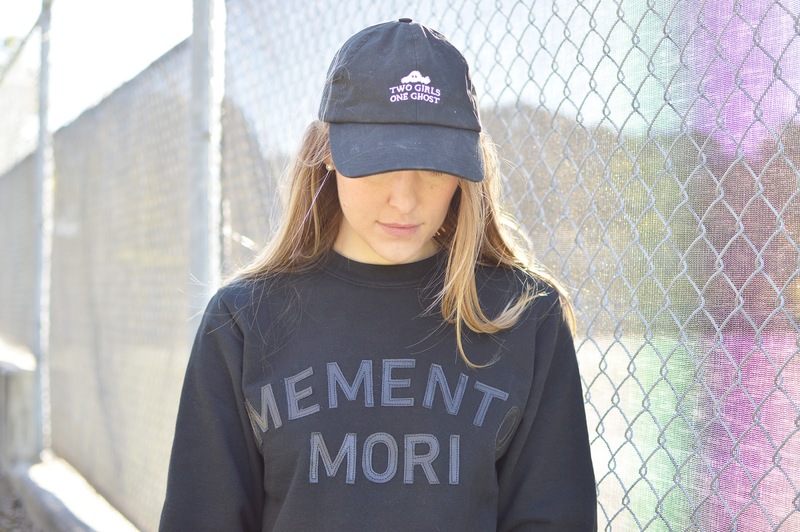 Thank you to Nick of Time for providing the fabric for this project, and thank you for supporting the brands that support this blog. 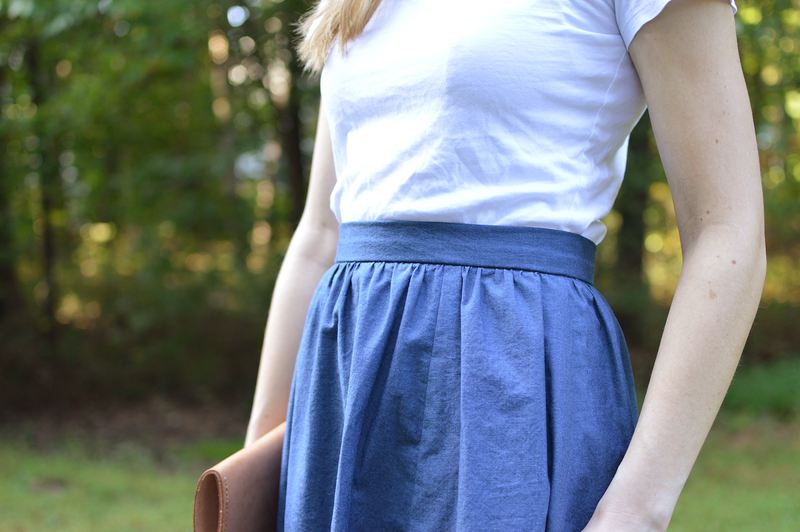 For 15% off your order from Nick of Time fabrics, use code ALLIE15. It's not October without one spooky make, right? 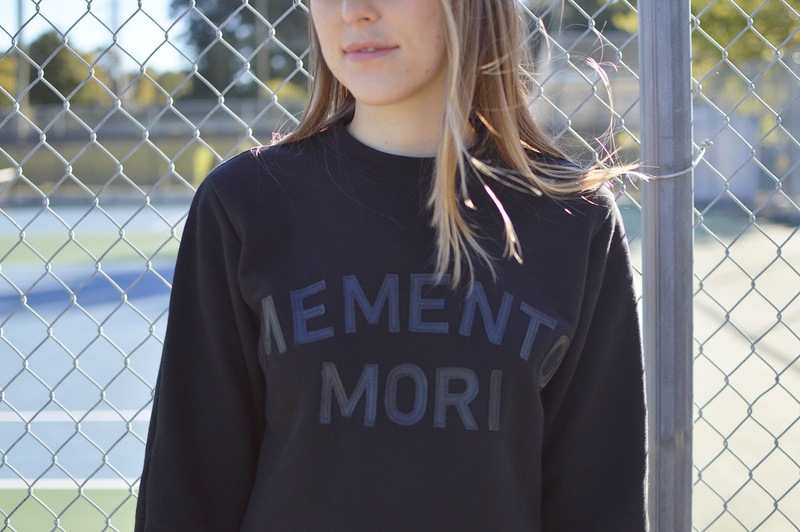 I got the idea for this memento mori sweatshirt from Madeline, who recently made an awesome Brooklyn sweatshirt. I immediately wanted to copy her (#sorrynotsorry) but I am much less cool and do not live in Brooklyn. 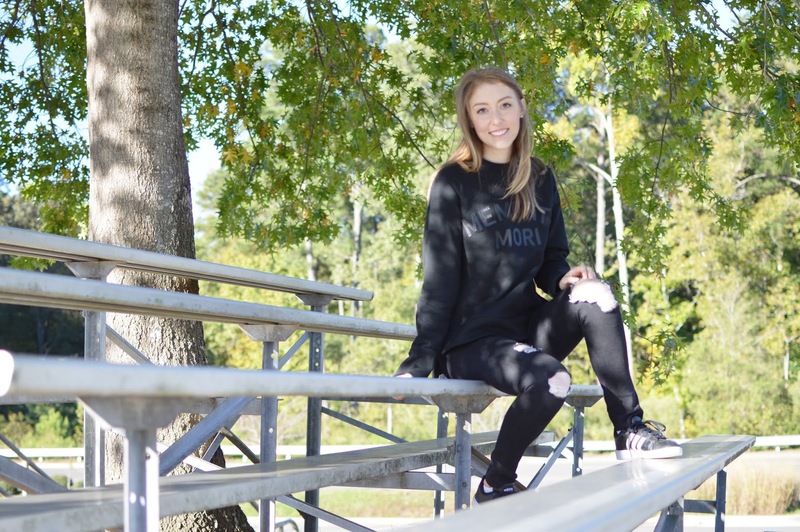 Since I knew I wanted a black sweatshirt with black text, a seasonally-appropriate phrase seemed to fit the style and the month! 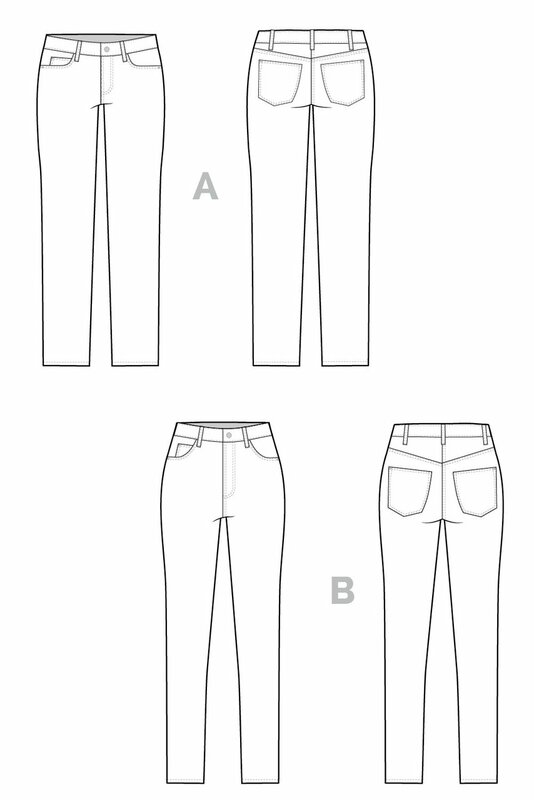 The pattern is the men's sweatshirt from Clothes for All Seasons in a size small, with a whole bunch of modifications changing the style--adding a split hem, lengthening cuffs--but you could use whatever sweatshirt pattern you have on hand (I like the Grainline Linden a lot too). By the way--there are a bunch of patterns out with this hem recently, but it's so so easy to add to a pattern you already have; I wouldn't recommend buying a new pattern just for this small detail. To make the appliques, I used leather scraps left over from this jacket--it's pretty thin, so it stitches on easily. After cutting them out, I laid them down how I wanted them, and then lifted them up one at a time, sprayed the back lightly with spray adhesive, and replaced them on the sweatshirt. After they were all nicely stuck I just topstitched around the outsides! My topstitching is not perfect but it's passable. 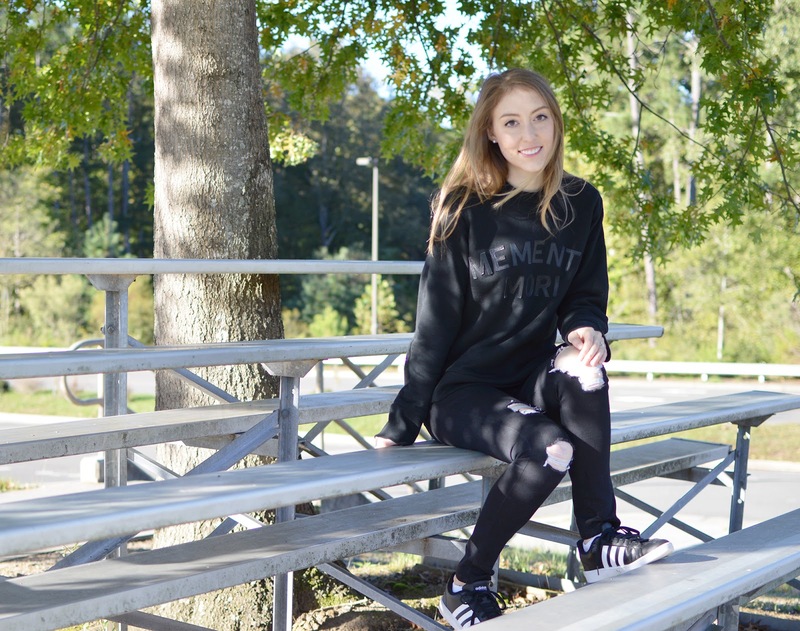 Don't forget--use code ALLIE15 for 15% off of your next purchase from Nick of Time! 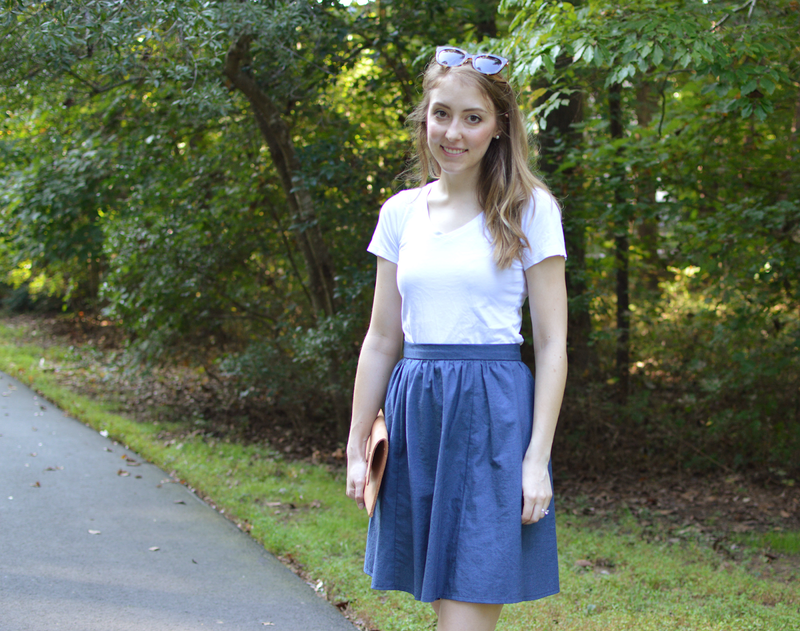 Thank you to Measure Fabric for providing the chambray for this tutorial! 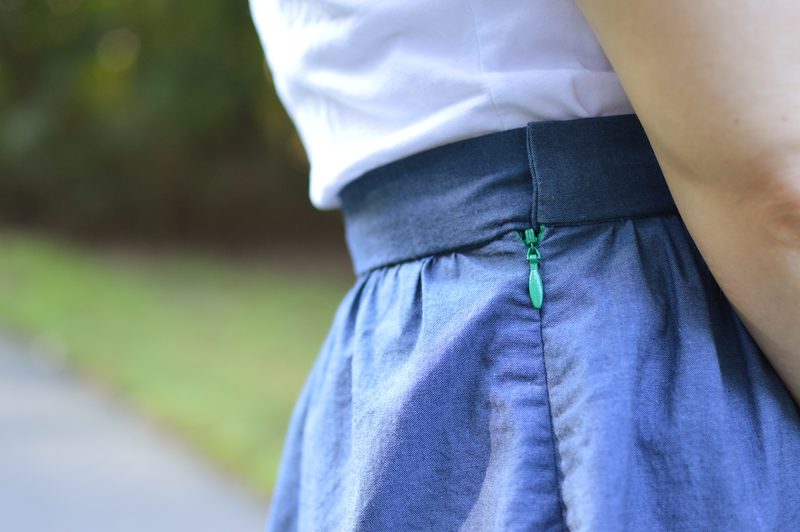 Since I've made about a hundred Rae skirts with this modification, and I'm clearly obsessed, I thought I might as well make a little tutorial for it! 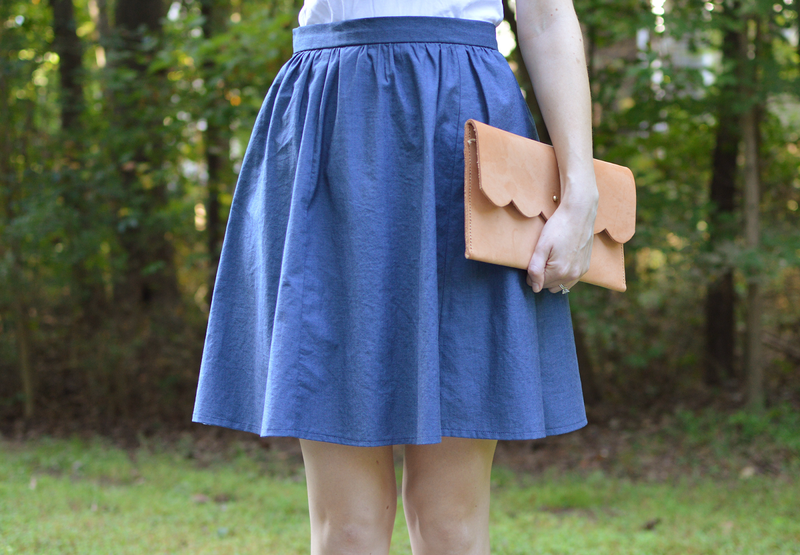 It's a simple change that I love; it dresses the skirt up a little bit but maintains the original flirty silhouette. 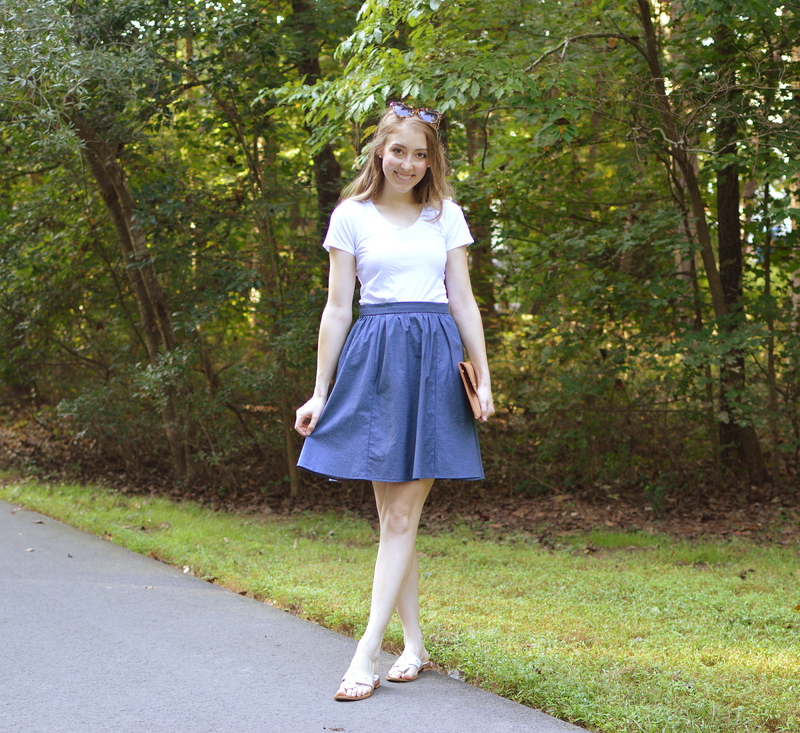 I used a denim-colored chambray from Measure Fabric for a casual look but you can dress this silhouette up or down--basically all of my skirts are some variation of the Rae at this point! This tutorial is for literally the exact way I make this version of the Rae, so it's not necessarily the exact right way to do it, just how I personally do it, lazy shortcuts and all. You've been warned! Hello! 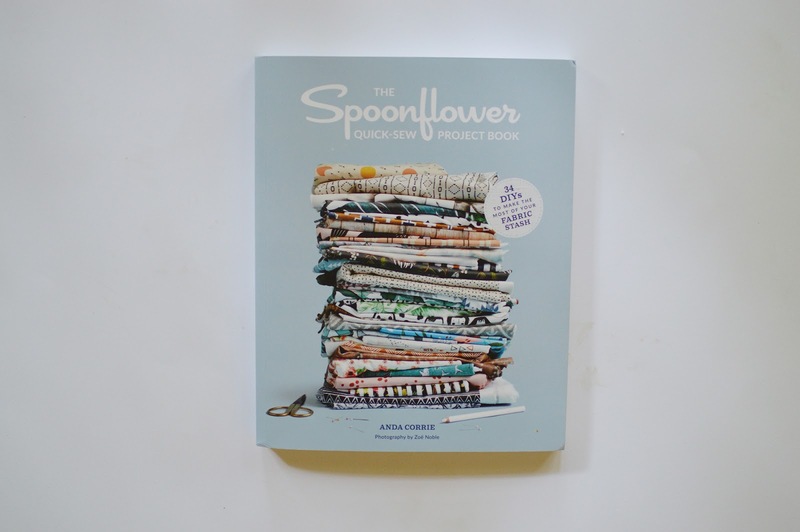 I have mentioned before that Spoonflower is right around the corner from me (like, less than 10 minutes from my house) so I always enjoy partnering with them--we're neighbors! 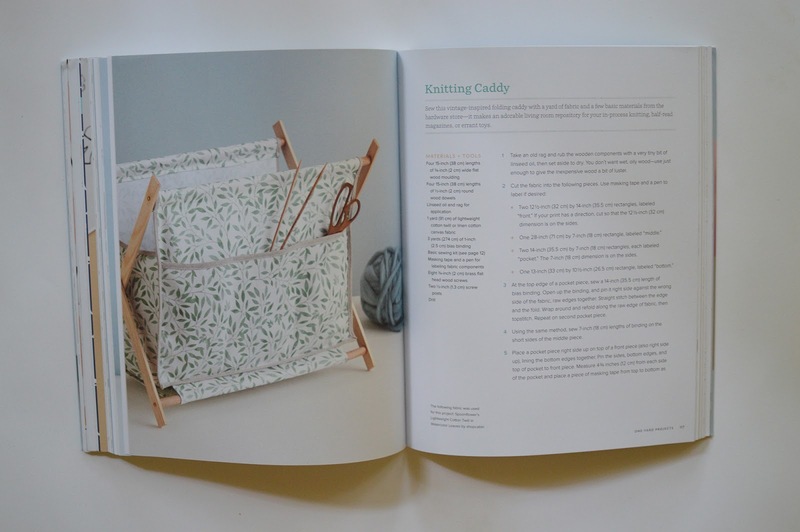 Today I'm here to help launch their new Quick-Sew Project Book. 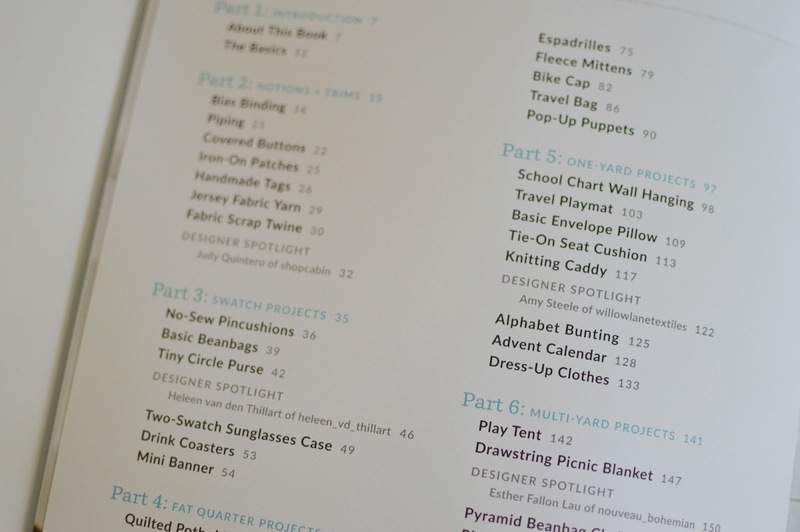 The Quick-Sew Project Book contains tutorial-style instructions for 34 different projects of varying skill levels and the book is divided up by amount of fabric needed--from a swatch (8" x 8") to a few yards. I've never seen a similar arrangement and I think it's so smart--we all have those smaller scraps of fabric we can't let go of or one-yard pieces that we're not sure what to do with. Everyone participating in this blog hop is personalizing the Two-Swatch Sunglasses Case--it's such a clever design, utilizing a pair of 8" by 8" Spoonflower swatches to make a cute pouch. I made mine with two coordinating prints from the same designer. On the outside is this glam velvet. On the inside, the same pattern, in a neutral, monochrome colorway. 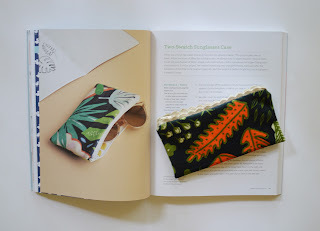 The full tutorial for the pouch is available on the Spoonflower blog here--it's super easy!--but today I'll just show you how I added a cute scallop trim to the top of mine. First cut two 8" lengths of trim. 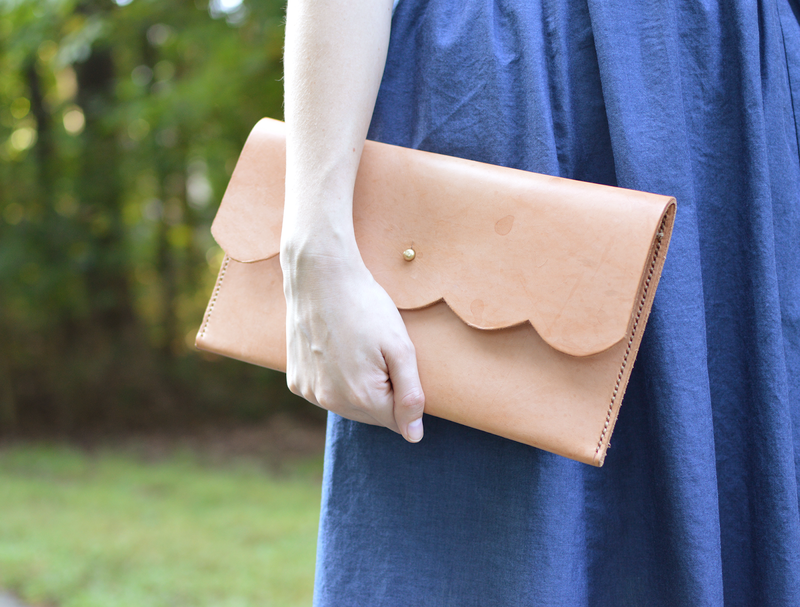 If you only have a little bit, you could also cut one and put in on one side of your pouch only. 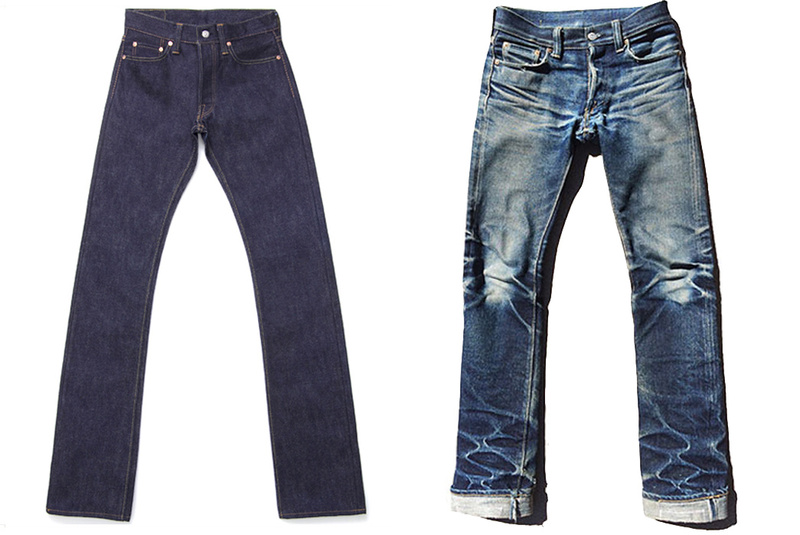 Raw denim jeans before and after wearing, from this great article about the history of raw denim. I used to have this pair of A.P.C. Petit Standards. 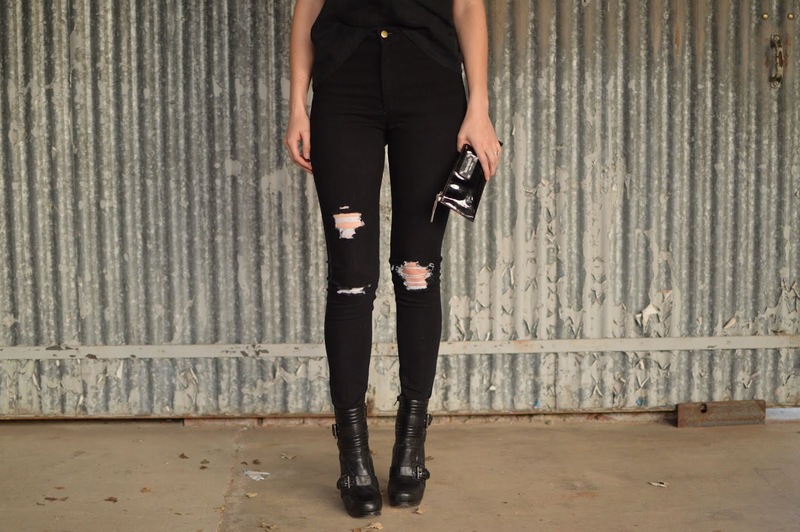 They were raw denim, zero stretch, mid-rise straight leg jeans, actually unisex. I wore them a ton and loved them. Now, however, they don't pass my fit test! 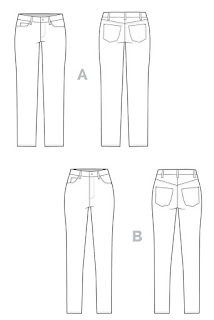 When A.P.C. 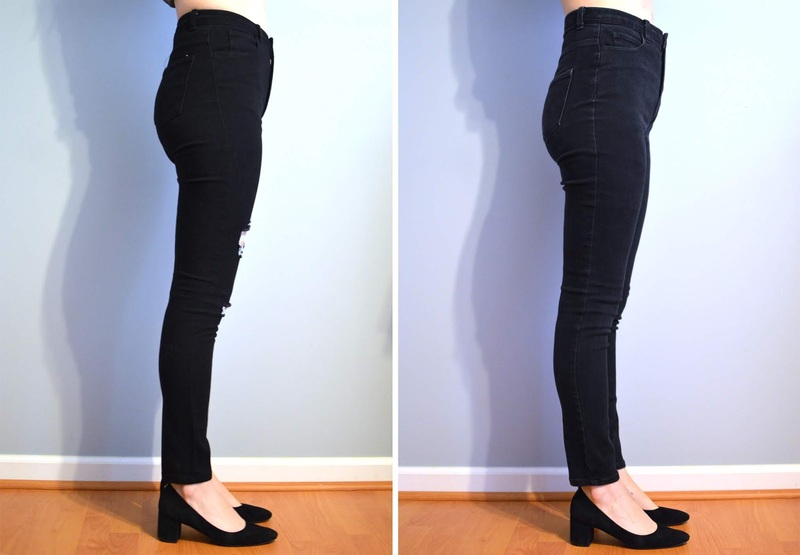 launched women's denim (with stretch, even, omg what) I was verrrry tempted to make a purchase but then I thought of my amazing handmade jeans collection and decided to do some experimenting instead of online ordering. 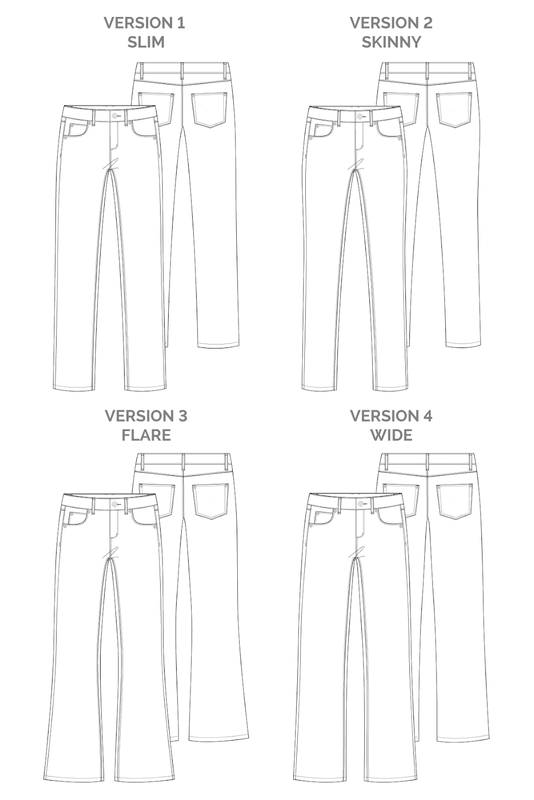 The High Standards, the new higher-waisted women's raw denim, are 98% cotton, 2% polyurethane (presumably the stretch) and just look like dark-wash jeans, you know? 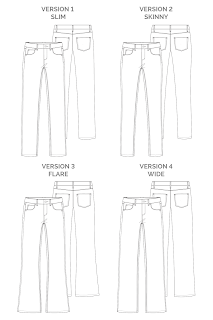 The magic, of course, is that the fabric is not pre-washed, and then you go as long as humanly possible without washing (like, 6 plus months) and when you finally do, you wash very carefully, and eventually, you get all these beautiful (to some) natural fade marks that are perfectly suited to your body and the way you wear the jeans. People go wild for this stuff. I recommend not getting involved. 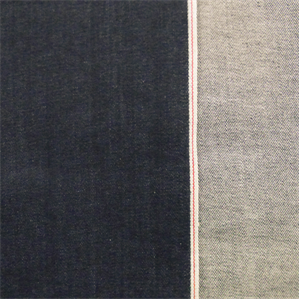 They things that suggested this fabric to me were the keywords "dry" (raw denim is often described as such) and "stiff" as well as the deep indigo color, all of which seemed promising. 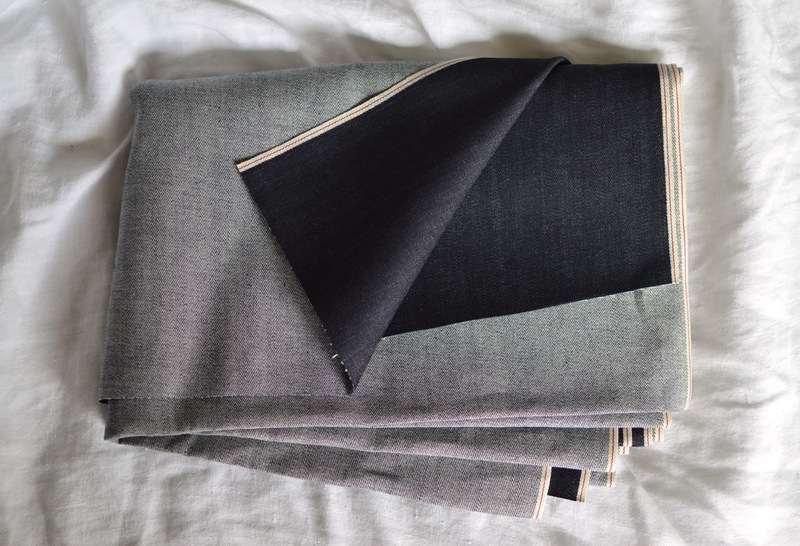 4 yards (since it's only about 30" wide) come to less than $50 with shipping--definitely cheaper than A.P.C.! Even though this fabric is not prewashed (gulp) and not very stretchy, I'm not planning making any pattern changes--my expectations are that they will be very tight when I first put them on, they will loosen up gradually as I wear them (without washing, for as long as I can stand it), and then after the first wash they were be very tight again--also, likely a decent bit shorter. ps: is it 2011? 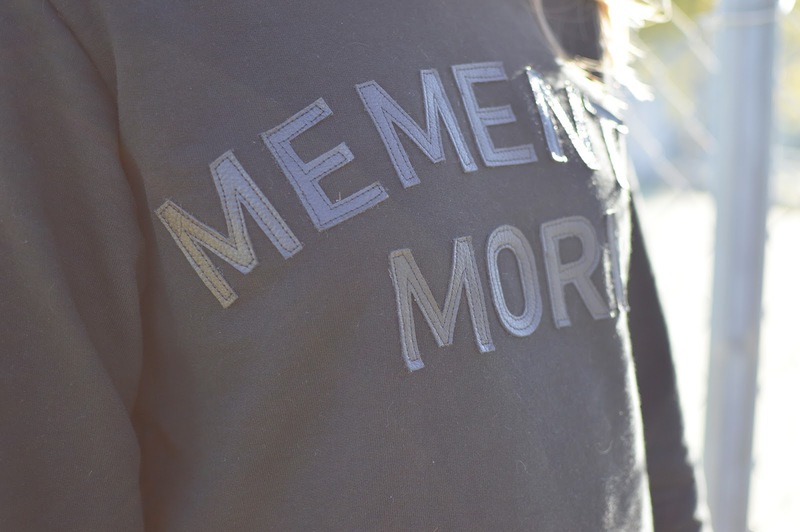 because this blog seems like its 2011.